Master is not only a software or an application, Master is a solution for all the problem that faces accountants and owners. It helps you to organize your present work, give you an insight about the possible opportunities and helps you to create the right decision all that is available through a rich environment of easy to use tools and functions with the support of multilingual screens. Main Users: Shops. Super Markets. Small-Medium Companies. Service centers. Education institutes. Factories. Foundations. Clinics Restaurants. Main Functions: Accounting: This function allow you to design your own accounting tree system by offering the ability to create root account and sub accounts , which will you at the end of the year to know the aggregate value of each root account. The system also allow the user to move cash values between accounts using Journal Entries, Vouchers , Or invoices , later the user can generate summarized or detailed accounts to know the value of the accounts and the movements. Stocks and Inventory: In stock and inventory function users can organize their stock items, value and location since the software allows an unlimited number of entries for stocks and items details. 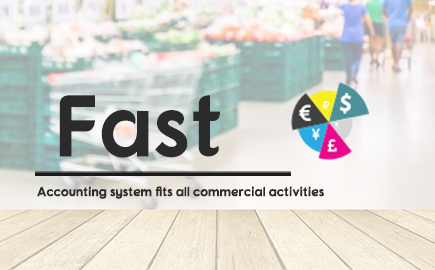 The software also offer the ability to move stocks between stocks and in/out movement by invoices with considering the time value of the items. The user can generate several reports that allow him to fellow up the movement of the materials and allow him to monitor the consumption of the material to know its market value. 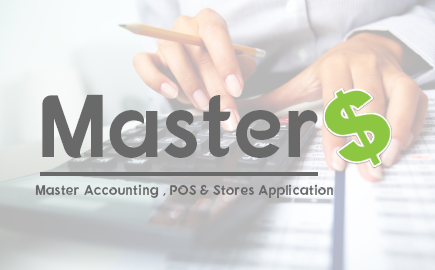 POS: In order to serve the facilities that require a smooth and fast sales operations , Master offers a POS system that organize this operation with an easy and simple manner. The POS function handles different cash drawers for different employees and generate a special report about them. Manufacturing: With this function you can design its manufactured item at your facility by creating a template of what it consists of and what costs can be added to each manufacturing operation, later you can use this template to execute an manufacturing order and the system will automatically exit the row materials from the stock and enter the manufactured materials instead with consideration for the costs that he also handle precisely. Reporting: Account’s Reports Ledger Statement. Accounts Balances. Classified Accounts Balances. Daily Report. Account Movement. Monthly Account Movement. Money Movement. Seller Commission. Trial Balance. Stock’s Reports Invoices Report. Material Movements. Stock Taking. Barcode Stock Taking. Stock Movement. Material Inventory Identity History. Materials Evaluating. Expire Date. Final Reports Balance Sheet. Profit and Loss. Trading Account. Operating Account. Data Import and Export: You can export all your reports to excel format, in addition you can import information like items so you can save time instead of entering them manually. The user also can export data like invoices, items, accounts and other important information so it can be imported later by another copy of master which makes it a very useful and easy method to trade information between branches. The Handheld Mobi Maestro can improve customer service by enabling your servers to stay on the floor where they’re needed and allow them to focus on serving customers, rather than running back and forth. 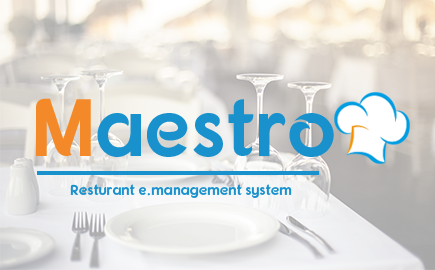 Mobi Maestro sectors: Full Service restaurant Quick Service restaurant Independent or Small Chain Cafeterias Coffee Shops Beach Resorts Hotels Our solutions: Information security: Since the entire staff restaurant (such as Director - Accountant - Cashier and Chef Captains) share work on Mobi Maestro therefore had to be a security system at a high level of accuracy where we can customize if users can print, pay, make discount and free dish or order. Flexibility to connect to Server: With just few details you would be able to connect wirelessly to server where application get and store data. Table’s layout: Table’s layout show you tables state, that so you can have the perfect vision of hall what will help you to lead it easily. Take order: With simple menu display you can easily shift through menu section and chose items all that within few seconds well you are talking to client and taking them order. 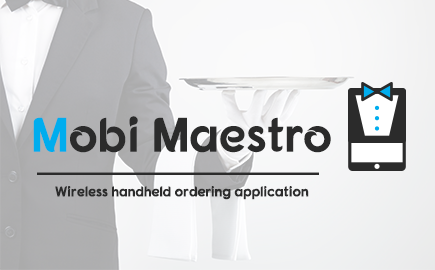 In addition you can change amount, add topping, and offer free dish, all that to serve your clients with best serves they would wish Close Table: With Mobi Maestro you can open and close tables without any need to back to desktop POS, you can print bill, make discount or make free order and pay order to close table.